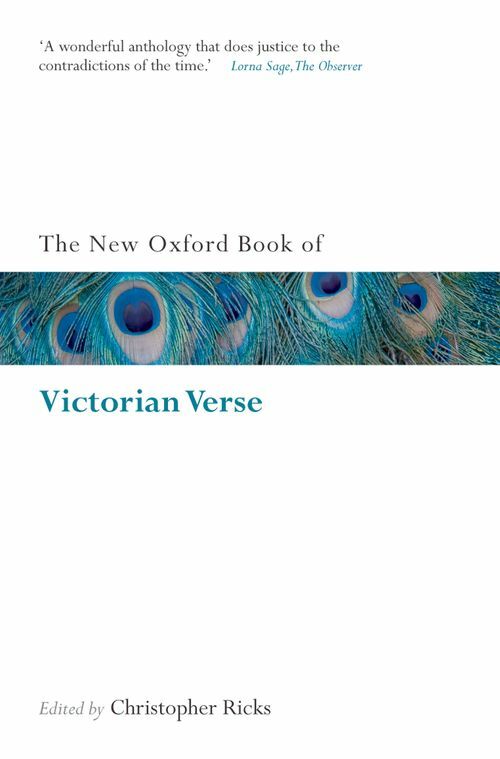 A great age of poetry speaks for itself in Christopher Ricks's celebrated anthology: the variety and power of Victorian verse, the innovation and creativity with which poets resisted the bad propensities of the era through which they lived. The great figures are of course strongly represented - Tennyson and Browning, Swinburne and Hopkins - but not so as to crowd out the less expected but equally rewarding facets of light verse and nonsense, of grotesque and protest. At long last justice is done to the poignant directness of 'the true voice of feeling', from William Barnes and John Clare, through Emily Jane Bronte and Christina G. Rossetti, to Thomas Hardy.